On 23 August, 2014, Kehazaei presented to the Manus Island medical clinic with flu-like symptoms and a small lesion on his leg. The clinic did not have the basic antibiotic to treat his common tropical infection, and, despite treatment, Kehazaei’s condition deteriorated rapidly. Doctors on the island urged his immediate transfer to Australia but this was first ignored – including by department of immigration bureaucrats who didn’t read their emails for up to 13 hours – and then rejected by the department. After further pleading from doctors trying to treat him, approval was finally granted – two days after the initial request – to move Kehazaei, by now semi-conscious and septic. But the department ordered he be moved not to Australia but to Port Moresby’s Pacific International hospital. At the PIH, Kehazaei was misdiagnosed, treated with broken equipment and left unattended as he grew critically ill. He suffered a series of cardiac arrests and, by the time he was transported to Brisbane’s Mater hospital, was profoundly brain-damaged. that Australia held sole responsibility for Kehazaei’s care and for the failures that led to his death. Ryan said Kehazaei could have been saved by basic interventions at several points during his worsening illness but that “the compounding effect of multiple errors” and “systemic failures” in the offshore healthcare system had led to his death. He was scathing about the standard of healthcare delivered to Kehazaei, and pointed out numerous failures which, combined, caused his death from a preventable infection. Clearly doctors should make critical health decisions, not bureaucrats. When all this happened back in 2014, then immigration minister, Scott Morrison, told The Guardian that asylum seeker Hamid Kehazaei received “outstanding” medical treatment on Manus Island. Someone should go to jail. The story was picked up by international news feeds, so for example it appeared in Japan and Deutsche Presse-Agentur. Sometimes the surname is given as Khazaei. Hair, Jesus Christ Superstar, The Rocky Horror Show, Marcia Hines, Jon English, Kate Ceberano and before that Louis Armstrong, Judy Garland, the Rolling Stones, the conductor Arthur Rubinstein, Herman’s Hermits, the Beach Boys and Sonny and Cher. The people represented by the Harry M Miller Group included Lindy Chamberlain, the racing trainer Gai Waterhouse, the fashion entrepreneur Maggie Tabberer, Big Brother contestants, and Judy Moran, the wife of Melbourne underworld figure Lewis Moran. Miller would take up to 25% of earnings. Miller also negotiated the “cash for comment” deals for the broadcaster Alan Jones. He attracted criticism for making money from tragedy and sensation. He represented Stuart Diver, who survived the 1997 Thredbo disaster. Miller also handled the funeral of the INXS singer Michael Hutchence. Got banged up in jail for the Computicket fraud affair. Said he cried every day in jail, but continued to run his clients’ careers from his cell. Born a Kiwi, I heard someone say Hair changed Australia. I saw it when I was attending a meeting in Sydney, in 1971, I think. One of the other blokes said he needed some fresh air, so I went out with him and missed the bit where they got their gear off. Saw it all in Brissie a few years later. It ran for two years in Sydney, then moved to other capitals. 3. Can we still enjoy the labours of morally ‘tainted’ artists? Can we still learn from, use, enjoy or legitimately benefit from the work — be it artistic, philosophical, or even scientific — of people who have committed egregious moral wrongs or who themselves hold morally repugnant beliefs? At what point do we regard, not only them, but also their intellectual or artistic labour, as morally monstrous? In many respects, this comes down to a question of the relationship between virtue and knowledge. Does character so restrain, constrain, inhibit, limit the world that one can ‘see’ — in fuller sense conceived by Iris Murdoch — that the intellectual or artistic labour that one produces is itself necessarily limited or tainted, and as such, untrustworthy? I think a work of art is at one level an act of communication. In another dimension it seeks reconciliation between inner and outer worlds. In another it says something about what it is to be human. There is no one answer, and it depends to some extent on your own sensibilities. In some cases the author doesn’t matter, sometimes they do, more so in the performative arts. It doesn’t bother me that Wagner was anti-Semitic. I don’t see the man in the work. To use another of their examples, in the case of Rolf Harris, his personality is part of the show, and no, I couldn’t watch him. Also what he does is not art, it’s just entertainment. Geoffrey Rush? Even if found guilty I could watch his acting in films again. The actor is not the artist, but is essential to the realisation of the work. I’d feel deprived if I couldn’t watch his films. Kevin Spacey? Depends. We are told that in some films he plays bad characters where he doesn’t have to act. Roman Polanski and Woody Allen? I don’t have a problem with anything I’ve seen so far. The group was inducted into the Vocal Group Hall of Fame in 1999. Peter, Paul and Mary received the Sammy Cahn Lifetime Achievement Award from Songwriters Hall of Fame in 2006. In 1981 Jimmy Carter granted Yarrow a presidential pardon for the crime. Nonetheless, it has occasionally become a campaign issue for politicians he supports. In 2004, Representative Martin Frost of Texas, a Democrat, canceled a fundraising appearance with the singer after his opponent ran a radio advertisement about Yarrow’s offense; in 2013 Republican politicians called on Democratic Congressional candidate Martha Robertson to cancel a scheduled fundraiser with Yarrow. Sometimes the subject matter becomes difficult. My wife tried to watch Killing Eve (see also here) and couldn’t last the distance. It’s about hunting a female assassin who enjoys watching her victims die. The Villanelle novellas by Luke Jennings on which the series is based would be a different matter. What the weekend results show, as I have argued previously, is that there is little evidence of any form of statistical correlation between approval for an opposition leader and support for the opposition he leads. Essential asked people what was important in determining their vote. 55% said they voted for party policies, 28% voted for party leaders, and 27% voted for local candidates. As the custodian of Labor’s policies, Shorten’s opposition to the government’s economic agenda, particularly its tax cuts to corporations and the wealthy, has been sustained and effective. Under Shorten, Labor has also embraced a suite of policies that take on vested interests like the banks and private insurance industry, while ending tax loopholes in negative gearing, family trusts, capital gains and dividend imputations that tend to favour the well-off. While it hasn’t necessarily made Shorten popular, it has entrenched Labor values at the centre of the political debate. Essential then did a party attributes survey, which tended to shows that people thought the Liberal Party was too close to big corporate and financial interests and out of touch with ordinary people. On the other hand, Labor scored better on understanding the problems facing Australia and looking after the needs of working people. Unsurprisingly, when asked, most people said both parties will do anything to win votes. So here’s my positive take on Shorten for what it’s worth. The first Gen X leader of his generation, he will win government on traditional Labor values and govern as a progressive centrist with the interpersonal skills to manage a united and ambitious team with a long-term plan for a fairer Australia. Maybe at this point Shorten will win the personal approval of Australian voters. Or maybe not. Because, as results on the weekend proved yet again, it really doesn’t matter. Remember, It’s all John Howard’s fault. There is much to be done, but now, just maybe, the sunlit uplands are within reach! I find the idea that we should ignore the art, ideas etc. of people we consider flawed repugnant. Repugnant because we might miss out on great art etc. that is driven by attempts to resolve internal conflicts. Repugnant because flaws don’t necessarily affect everything someone produces. John, I agree with your sentiments. I believe we start with the work of art. Sometimes the author’s personality is apparent, sometimes not. Sometimes it’s relevant, sometimes not. Knowing something about the author and the circumstances in which the work was created often (usually) adds to our appreciation. Authors also change over time the German writer Goethe wrote in his youth a work The Sufferings of Young Werther. It is said that in his later years he could not stand the work and would not revisit it. Yet we can, and it adds to our appreciation of his development as a person and as a writer. BTW 72 visitations to the archive, including the one I linked to about John Howard. I do blame Howard for everything, but had forgotten that I wrote a post about it. Everyone has a different opinion on what morally tainted is. And what art is for that matter. Asking “ Can we enjoy… “ is a wrongheaded collective question to an individualistic subject. It’s a sophisticated language, English. Jump, you are just plain wrong. Chaucer, Shakespeare, Bach, Mozart, Beethoven and others are a rank above the rest and speak to people through the ages. Tomes have been written as to why. We are not, I think, going to get into theories of art or aesthetics on the basis of your opening assertion. 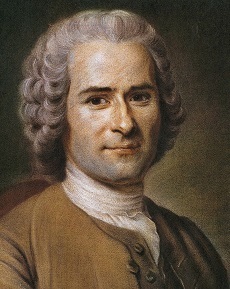 According to Immanuel Kant, beauty is objective and universal (i.e. certain things are beautiful to everyone). But there is a second concept involved in a viewer’s interpretation of beauty, that of taste, which is subjective and varies according to class, cultural background and education. My point is that the issue cannot be dealt with by a simplistic statement that heads off further discussion. Brian, I’m cool and I think it’s a fundamental and timely conversation to have if we let it. That podcast conversation was rambling and wide ranging, thought provoking and deep, which isn’t common nowadays. I enjoyed it a lot. They covered a variety of media of communication essentially, not just art, and the way I could deal with the personal value of it depending on my personal perception of the moral position of the other party in the exchange. My thoughts went to sportsmen’s conduct on and of the field. Politicians too. Am I less inclined to scrutinise a policy from a politician I like, do I over scrutinise ones I don’t. Even in basic conversation on blogs am I taking the worst possible interpretation of a comment from someone I think is morally suspect. Would my response be the same if the exact same words were posted by a person with morals that are the same as me. The thing I liked most about the podcast was that they felt the conversation was a journey with destination unknown. They didn’t have time, I suspect, to discuss the if the author/artist/philosopher/scientists etc considers the moral positions of their audience. I suspect they don’t and wouldn’t be expected too. So on closer examination it was something more than “a wrongheaded collective question to an individualistic subject”? No,no, the question as stated was collective as was SHYs statement. As usual the headline doesn’t match the content. You couldn’t disagree unless you’ve not listened to it. A lesson in conversation was the cherry on top. As for the ABC content, it’s not beyond our brilliant bureaucratics to employ an opt in, user pay system is it, given the billion dollar loss they enjoy annually that their competitors don’t ? 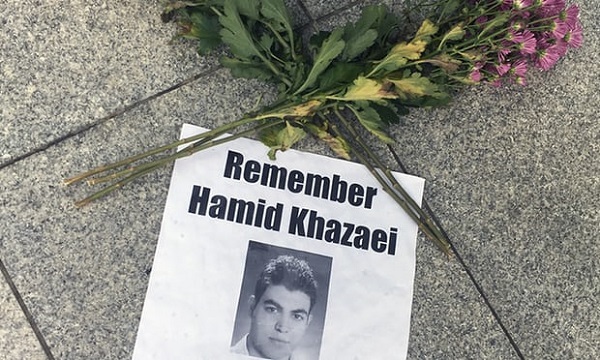 The completely unnecessary death of Mr Hamid Kahezaei was a tragedy – and the culprits, both those directly involved and those indirectly responsible, should indeed go to jail. That won’t happen, of course, because of the chasm between The Law – and – Justice. What really annoys me is the unending blame-shifting we have to endure whenever incompetence, dithering, blundering, moral weakness and injustice like this occur. It is not the Australian government that is blamed, nor Australian public servants, nor Australian political figures, nor contractors, nor foreign prison companies. No. It is always “Australia”. That’s us. As though we ourselves, ordinary citizens of Australia, had any control whatsoever over the actions of decision-makers. The most we can do is mark a ballot paper every few years, along with tens of thousands of our fellows in each electorate, for one of a handful of pre-selected scoundrels and boofheads for each seat in Sillyville. That’s all. We have no control whatsoever over the policies and practices of the government or its public servants, contractors or its associated corporations (on-shore or off-shore). Sure, we can stage as many noisy protests and sign as many beautifully written petitions as we like – and who would bother responding effectively to them? It is grossly unfair to blame “Australia” for what is so obviously the bad decisions of a handful decision makers. I want an opt in, user pays system for the armed forces, which in just 2018-2019 will post a loss of $36.4 billion. Jump, the ABC do compete for our ears and eyeballs, but I see them as having a task in relation to our national culture which is there whether the other media exist of not. Glad you liked the podcast. There is good stuff every day on the ABC. On the particular episode, I was doing stuff and couldn’t attend the whole time. Also I believe there is extra stuff on the podcast. My feeling was that they were in new territory for them and they didn’t distinguish enough between the genres, which operate differently. Outside the arts, bad behaviour triggers alerts, but I think you have to look at each case separately. I’d like Aly and Stevens to have a crack at Martin Heidegger, who Hannah Arendt spoke for when he was hauled over the coals, while Karl Jaspers spoke against, but I suspect he in not their kind of philosopher. Arendt and Heidegger had earlier been lovers, but I wouldn’t think that would affect Arendt’s judgement. Graham, I was proud to be an Australian for a while there after Gough W arrived on the scene, but it got harder after John Howard showed up. It’s astonishing what happens in the land of the ‘fair go’. Arendt was one of the austere and profound voices of C20. A couple of times I’ve tried to listen to Stevens and Aly. Unfortunately have found them wordy, obtuse, rambling, unclear, etc. Likely says more about me than them. But I value greatly the open, wide discussions that RN sometimes broadcast. Philip Adams, once you allow for his biases, seems to be enthused by the topics he explores, across an amazing breadth of fields. And ABC FM has gems. Barnaby has written a book. Says he wrote it over five or six years. He developed depression; his wife urged him to seek medical help; ignoring that, he took to alcohol (with hints of infidelity); then he fell for Vikki; finally he took medical advice. He claims his book is advocating for a better deal for poor, white, rural people; often enough these are agricultural labourers, hit hard by drought, living in weatherboard houses with an iron roof. He claims he had to put in the salacious parts about his mental torments and Vikki, because a book titled Agricultural Policy for Australia wouldn’t sell. Ambi, for a couple of years there my wife and I often thought Barnaby was more than a bit under the weather when he appeared on TV. It’s just that when he sobered up he made even less sense. On Stevens and Aly, “wordy, obtuse, rambling”, fits pretty well. Stevens is supposed to be the philosopher of the two – he demonstrates vast knowledge and virtuosity. Obsessed with moral issues, Aristotle, and a few other faves. Aly often brings it down to earth and simplifies things. I did some philosophy in two degrees, so comfortable with the discourse, but my knowledge is spotty and have forgotten much, so I find it stimulating and interesting, but often wish they would get onto their guest about 10 minutes earlier than they do. Adams is best at interviewing three guests at once, has an amazing memory, and contributes to the issue.However, often interrupts, talks over someone, apologises, but instead of going back to what they were saying continues his interruption. He’s better at interviewing someone he disagrees with than most. There are some really interesting interview channels on YouTube. I prefer the long form ones that can meander off the guts of the topic but have time to return. Radio podcasts are limited to their time slot of 30-45 mins. YouTube interviews can just exhaust themselves whenever that may be, also the facial and hand expressions adds heaps of information. Some of Joe Rogans guests are amazing and Joe is a pretty damn good conversation partner. Often they go 3 hours +. Dave Ruben is ok too, though more on the cerebral side. This would be a great forum for Richard Fidler if he made a Channel. Can anyone recommend a channel that I haven’t found yet that is in that vein ? Richard Fidler in his new role is a cracker. We enjoyed listening to him reading his “Byzantium” book, as an audio book, on long drives. YouTube has some good Christopher Hitchens performances. Recently enjoyed also some old interviews with Vladimir Nabokov. There are riches there. I just listened to the Adams/Hitchens chat. I’m into audio book at the moment, just finished Jordan Peterson’s 12 Rules for Life. Humbling and obvious would be my summary of it, too centring to say enjoyable or entertaining. Being old-fashioned, we borrow audio books on CD from the local Library. Given his prolific publishing and high esteem as a social economist I was surprised. So I purchased a hardback copy and put it in their return box. I’ve yet to read it, hence the digital audio book download. Jumpy, you are doing well there. Happy for you to share here. I’ve decided to at last get a smart phone so I’m not limited to the radio schedule. Never know where that might end. Bulk audiobooks on apps for no charge. Stuff you never got around to or a walk down memory lane. Non public domain stuff is around $20 give or take. I’ve got all Apple gear and my nephew set up an iCloud so every device shares and when I next destroy my phone ( occupational certainty) I’ll not lose any downloads. Harking back to the death of Hamid Kehazaei. Why couldn’t we take in both Iranian refugees AND Iranian economic migrants whom we, not people- traffickers and corrupt Australian officials, select to come into the country? Oh that’s right it might upset the Yanks and it might deprive people-traffickers and corrupt officials of their entitlement to loot. Gillard offered, on our behalf, to pay good money to empathetic folk if they’d open their own homes to refugees. Pretty sure it pasted both Houses of Parliament. Do we know of any takers ? Any green voters help ? I didn’t, did you ? I sympathise, Jump, but does using the iCloud mean you are open to identity theft? Renowned silk J. Burnside and his wife took several asylum seekers into their home several years ago. Fed and housed them. Thanks Mr A, so Burnside is one, anyone else ? Perhaps but there are a multitude of backdoors where that can happen. Apple have great security though. I’ve never purchased anti-virus software and never got a virus, pop up or hassle. Their initial price looks over the top until you take off the added cost of others. Identity thieves play the odds as much as anyone. You can choose what you want stored by ticking the boxes. Phone numbers, photos, apps and downloads basically. Emails too but it seems even private severs in a cupboard at home are easily hacked if the target is important enough. Me, I’m a poor small fish, not worth anyone’s time to hack. They just have to hack the Government to find out all my important stuff. Apparently 4,000 put up their hands in 2015-16 but the government (LNP I believe) wasn’t interested. This was after 600 refugees were resettled in 2012 and 2013 by the same agency (the one Jump linked to at 8:12 pm on August 9). Mr Burnside was encouraging other families to do likewise at the time. I have heard of many rural folk giving practical assistance (including jobs) to refugees. Maybe ALP had something to do with its collapse if I understand the timeline correctly. .In August 2012, the succeeding Gillard Government (Labor) introduced a similar policy, reopening Nauru Regional Processing Centre and Manus Regional Processing Centre for offshore processing, and on 19 July 2013, newly returned Prime Minister Kevin Rudd announced, “asylum seekers who come here by boat without a visa will never be settled in Australia”, striking a Regional Resettlement Arrangement between Australia and Papua New Guinea, to divert all “unauthorised maritime arrivals” to mandatory detention on Manus Island with no possibility of attaining Australian residency. Yes Jump, both major parties have appalling records on this matter. Although I would point out it was the Abbott government which decided to accept 12,000 Syrian refugees and then didn’t display any enthusiasm for the offer from 4000 Australians to house them (see my link above). The refugee problem is a ‘wicked’ problem. By that I mean that there is no good solution. The Greens idea of allowing boats and onshore processing may have been ethically correct, except that people die in the sea crossing, but no government would be returned if we got up to 200,000 arriving in a year, and we would. I think the best proposed solution in recent years was the Malaysian solution. Set up a queue there and if they try to jump the queue, send them to the back of the queue. Abbott opposed it for purely political reasons. The Greens opposed it because it wasn’t perfect, which it wasn’t. Rudd’s ‘Pacific solution’ was never meant to have people stuck there indefinitely. Labor claims they would clear Manus Is and Nauru. I have my doubts whether they actually could unless they brought them all to Australia, which they claim they won’t.